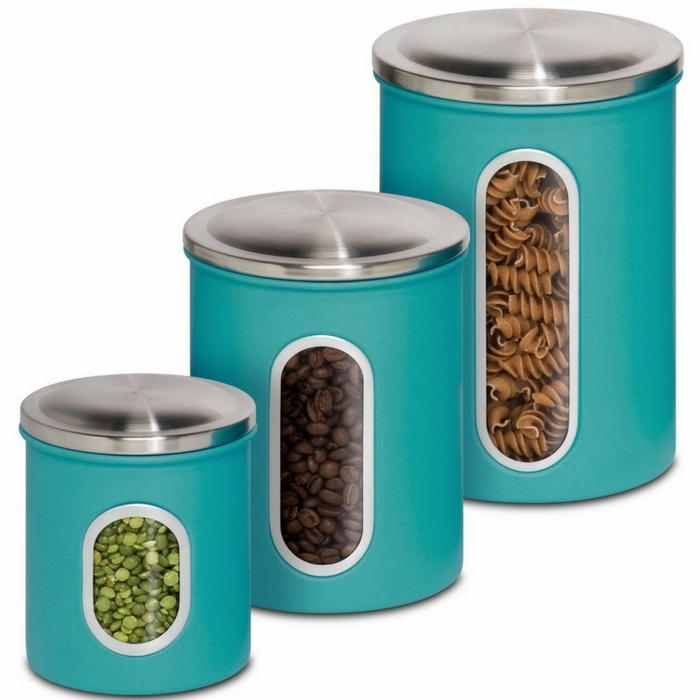 Honey-Can-Do 3-Piece Metal Storage Canisters Just $9.49! Down From $35! You are here: Home / Great Deals / Amazon Deals / Honey-Can-Do 3-Piece Metal Storage Canisters Just $9.49! Down From $35! Keep your food safe! You can store condiments, pasta, beans, coffee, sugar and many more with these metal canisters! It comes in package of 3 canister containers that are easy to clean and convenient to use! Right now at Amazon, Honey-Can-Do 3-Piece Metal Storage Canisters is on sale for just $9.49 down from $35 PLUS FREE shipping with Amazon Prime or for orders over $35!